I hung my paintings at the Beehive Hair Lounge this morning and have to admit I was tickled to see so many of them hung together. 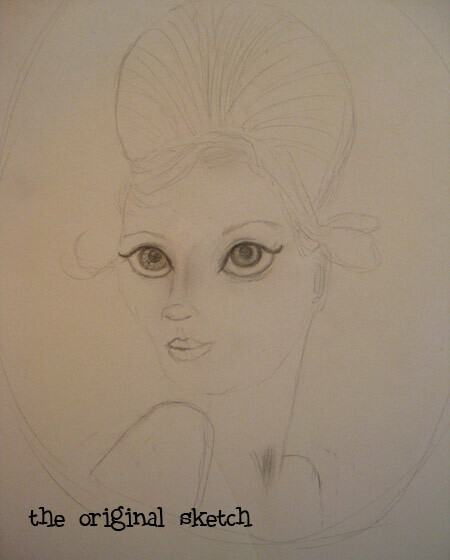 Well, not together exactly…more scattered around the salon, but up! On the walls! Yay! 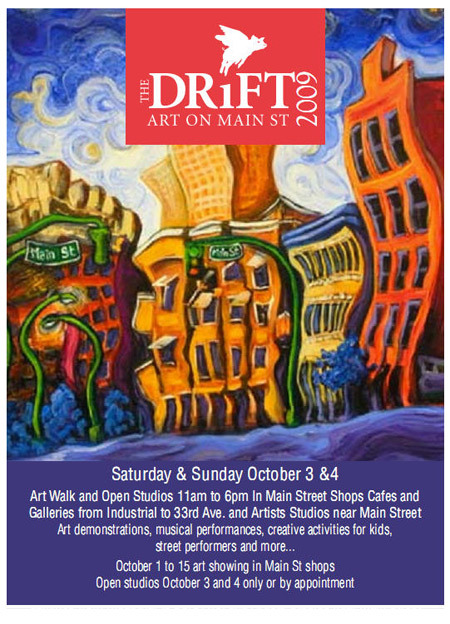 I’m participating in The Drift this weekend, which means that artists & businesses are teaming up all along Main Street in Vancouver to display some rad local art. The official kick off happens October 2nd & 3rd, with artist talks & open studios & all sorts of good stuff, but if you’re busy this weekend, don’t fret – my paintings will be on display until October 15th. If you’re a local, please do pop by & take a peek. 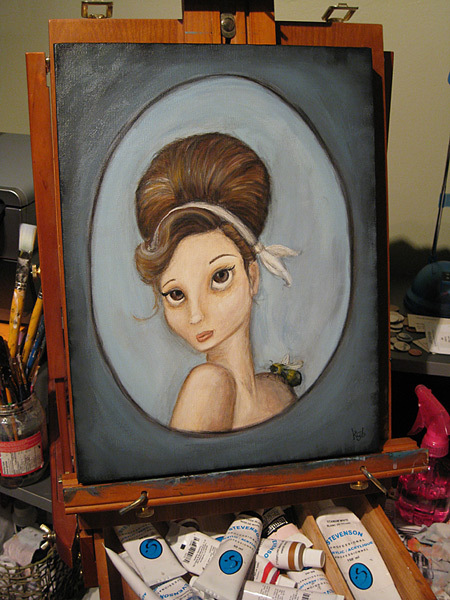 You’ll find the Beehive at 4385 Main St (@ 28th). Also on the same block? My favorite indie music shop. After I’d stopped laughing (seriously – how could you not crack up??) I explained that while art is totally subjective & he was certainly entitled to his opinion, he may want to consider holding off until the artist is out of earshot.